This delightful itinerary combines the contemporary Polynesian buzz of Tahiti with the paradise islands of Moorea and Bora Bora and travels beyond the main tourist hotspots to the charming and lesser visited islands of Raiatea and Le Taha’a. Stay in a mixture of accommodation from an intimate, laid back beach lodge on Moorea to a Tahitian hideaway on the private islet of Motu Tautau, inspired by traditional Polynesian architecture and style. Explore further afield with knowledgeable guides and enjoy a 4x4 Safari Experience in Moorea, full day Discovery Tour of Le Taha'a and look out for marine wildlife on your boat tour in Bora Bora. Arrive in Papeete, Tahiti. You will be greeted at the airport and transferred by private vehicle to your hotel. Facing the island of Moorea your hotel boasts a private natural lagoonarium, two infinity pools, a jacuzzi and excellent restaurants. Spend the rest of today at leisure. After breakfast you will be transferred by private vehicle to the ferry terminal where you will take a ferry to the island of Moorea. As you approach the island, only ten nautical miles from Tahiti, spot mountain peaks rising from the translucent lagoon and feel the warm welcoming character of the locals who are lucky to call this island home. 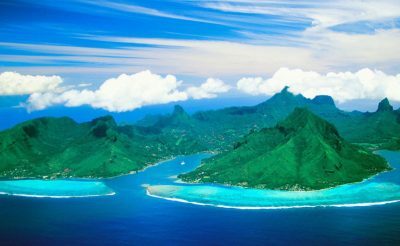 You will be met on arrival in Moorea and transferred to your peaceful and chic beach lodge, home for the next 3 nights. After breakfast set off on a half day 4x4 Safari Experience to explore an ancient volcanic crater and the islands incredible landscapes. You will visit a pineapple plantation, Moorea’s Lycée Agricole (agricultural school) and its vast vanilla, banana, grapefruit and lemon plantations, to name but a few. Afterwards enjoy a visit to a local marae before heading to the Belvedere for stunning views of Cook Bay and Opunohu Bay. Enjoy breakfast this morning and spend today at leisure. 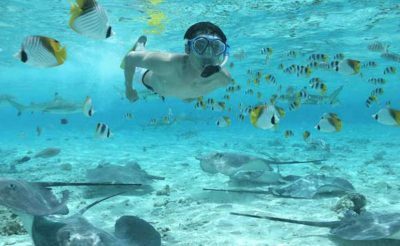 Explore the crystal clear lagoon by way of snorkel and encounter stingrays, sharks and marine turtles or book a guided walking tour to explore the islands interior mountain tracks and coastal walkways. This morning take a private transfer to the domestic airport after breakfast where you will join a short flight over to the island of Raiatea. On arrival join a boat transfer to your hotel, located on a private islet looking onto the lush shores of Taha'a on one side and the majestic silhouette of Bora Bora on the other. Taha’a is also known as the Vanilla Island due to its fertile land and climate, which produces the most fragrant vanilla on earth. Today enjoy a full day tour and discover all the treasures of the ‘Vanilla Island’. Begin with a land tour to visit a pearl farm, vanilla plantation and Tahaa's rum factory and then head to the motu by boat for a delicious lunch. 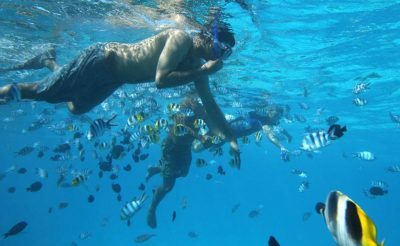 The tour will continue with snorkelling in some of the most beautiful coral gardens of French Polynesia. Today is a free day for you to explore and relax – the lagoon is your playground! Explore by boat, kayak or paddle board or discover the island on foot. Transfer by private helicopter to Bora Bora airport, take in breathtaking views over stunningly gorgeous lagoons, the wave fringed reef and majestic ocean. On arrival you will take a boat transfer to your hotel, a blissful and luxurious resort where relaxation awaits. Today you will enjoy a luxury boat tour for a full day of exploration and lagoon discovery. You’ll have the opportunity to snorkel and spot marine wildlife such as manta rays and sharks before stopping on a motu for lunch. Your guide will show you the traditional way to climb a coconut tree and how to pick, open and grate a coconut. You’ll enjoy a delicious champagne lunch with your "feet in the water" before returning to your accommodation. Today is a free day for you to relax, or you might like to pre book a guided excursion. Perhaps learn how to create a tropical flower crown or coconut leaf hat or take a guided hike to the only cave in Bora Bora on the other side of the island in Anau, learn from the local guide about the lush flora and fauna and medicinal plants. Today take a boat transfer from the hotel to the airport for your domestic flight back to Papeete. 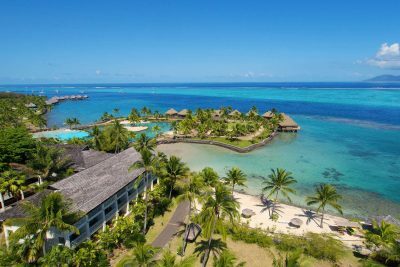 Stay overnight in Tahiti with its contemporary Polynesian buzz, particularly in the lively capital of Papeete, before your return private transfer to the airport tomorrow. 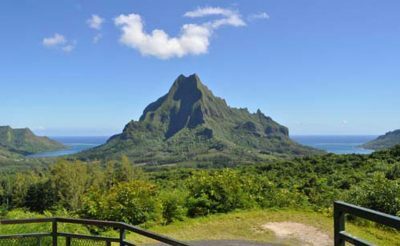 Take a guided tour of the island of Moorea to admire stunning views around Cook bay, Opunohu bay and the Belvedere. 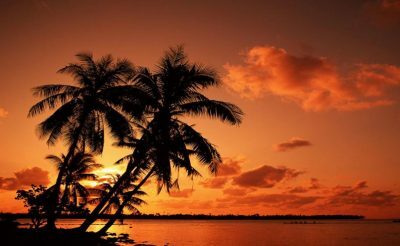 Enjoy a magnificent sunset with outstanding views on Moorea's island from the lagoon of Tahiti. 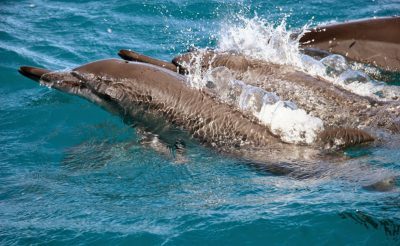 Explore Bora Bora's marine life on board a comfortable boat.